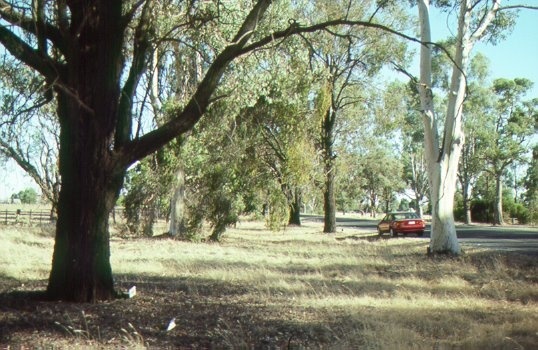 The Calder Woodburn Memorial Avenue was planted between 1945 and 1949 by Mr JLF (Fen) Woodburn as a living memorial to his son Calder who lost his life while serving abroad with the Royal Australian Air Force. Calder Woodburn, a graduate of Dookie Agricultural College, enlisted 1940. He failed to return from a mine laying mission along the French coastline in April 1942. 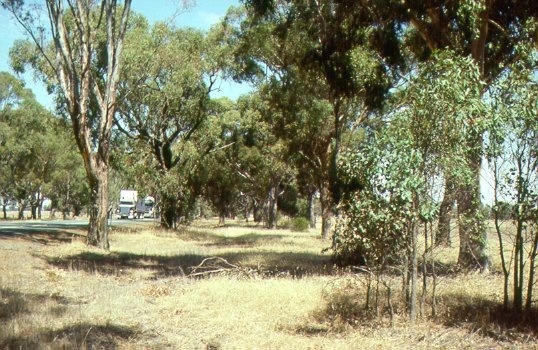 In late 1943 Fen Woodburn offered to plant two rows of trees for a distance of 9.5kms along the Goulburn Valley Highway as a memorial to his son. Starting in 1945, by August 1947 Fen Woodburn had planted all the 1406 trees to complete his original vision. In 1948 he extended by a further 638 trees. 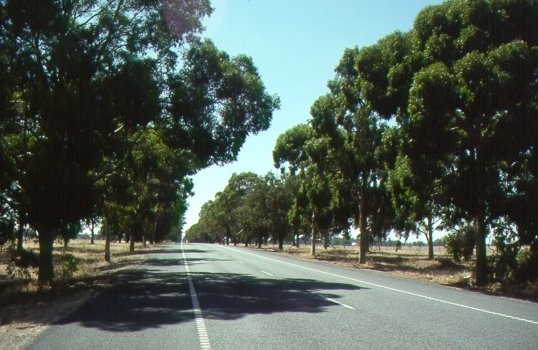 In its final form the avenue was extended, in four rows, as far as the Murchison-Violet Town Road in 1949 making a total of 2,457 trees. Woodburn wanted the Avenue to be a memorial to all local servicemen who did not return from the Second World War. Memorial name plates were fixed to 110 of the trees, the trees selected being at the nearest point to the servicemen?s homes. 1. 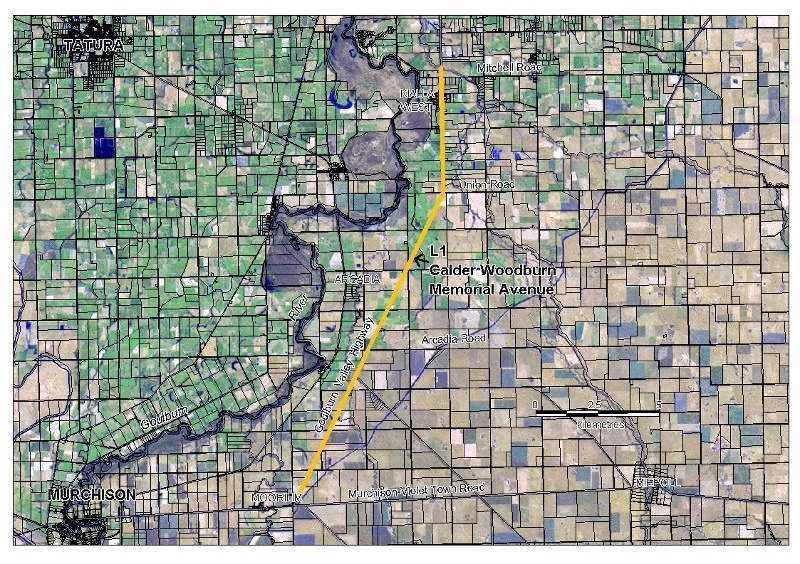 All of the land marked L1 on Diagram Number 1975 held by the Executive Director being the Goulburn Valley Highway road reserve extending approximately 19.7km between the MurchisonûViolet Town Road and Seven Creeks but excluding the road pavement and shoulders to a width of 13.0m from the centre line of the road. 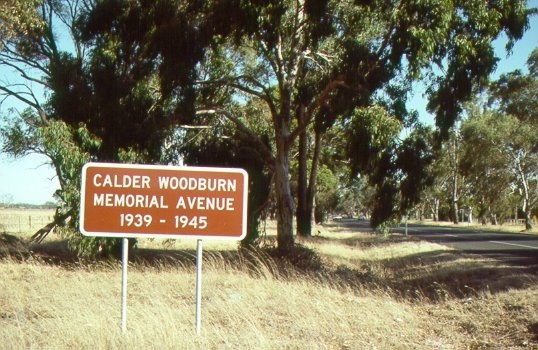 The Calder Woodburn Memorial Avenue was planted between 1945 and 1949 by Mr J L F (Fen) Woodburn as a living memorial to his son Calder who lost his life while serving abroad with the Royal Australian Air Force. Calder Woodburn graduated from Dookie Agricultural College in 1936 and enlisted with the Royal Australian Air Force in 1940. Woodburn was posted to the 455 Squadron and arrived in England in 1941. He was involved in laying mines along the French coastline, and on one of these missions in April 1942 he failed to return. In late 1943 Fen Woodburn began discussions with the Country Roads Board (CRB) about a memorial to his son. 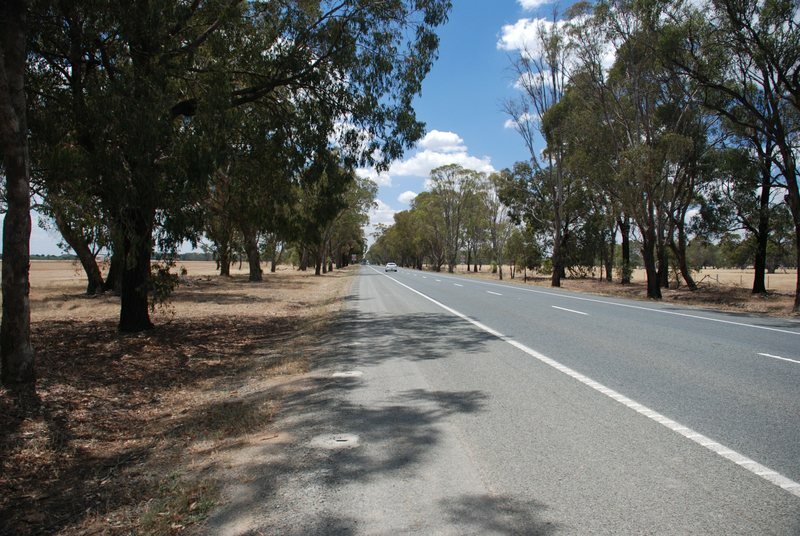 Offering to finance the project Woodburn planned to plant two rows of trees for a distance of 9.5kms along the Goulburn Valley Highway. During the second half of 1945, 152 trees were planted, starting near the Seven Creek’s bridge and moving south. A total of 425 trees had been planted by August 1946. Woodburn planted all the trees. By August 1947 the work originally envisaged had been completed with a total of 1406 trees being planted. Woodburn then planned to extend the avenue by two or three miles and in 1948 a further 638 trees were planted. It was then decide to continue the planting to the Murchison - Violet Town Road and a further 500 trees were planted. The final avenue planting comprised of 2,544 trees and is planted in 4 rows along the Highway. Woodburn stated that the Avenue should be a memorial to all local servicemen who did not return from the Second World War. Name plates were fixed to a number of the trees, the trees selected being at the nearest point to the servicemen’s homes. Various CRB officials and Mr Venville of the Forest Commission who raised the plants at the Macedon Nursery, and assisted with the planning are also honoured.